Is it possible for a store to be unique and trendy at the same time? By very definition, trends are everywhere while unique finds feel rare and personal, but both are words I use when I describe 163, a great accessories boutique located at, of course, 163 West 4th Street in New York City. Who cares if it’s a total contradiction — it works! Browsing through the store’s cases of gorgeous jewelry and fun accessories is the real life equivalent of scrolling through Pinterest boards. Check out my favorite picks from my last trip to the store! Every time I talk about Pinterest with friends, I mention 163. You know that feeling you get when you’re scrolling through pins of accessories and you just wish you could go out and buy your entire board? 163 lets you do that, without breaking the bank. 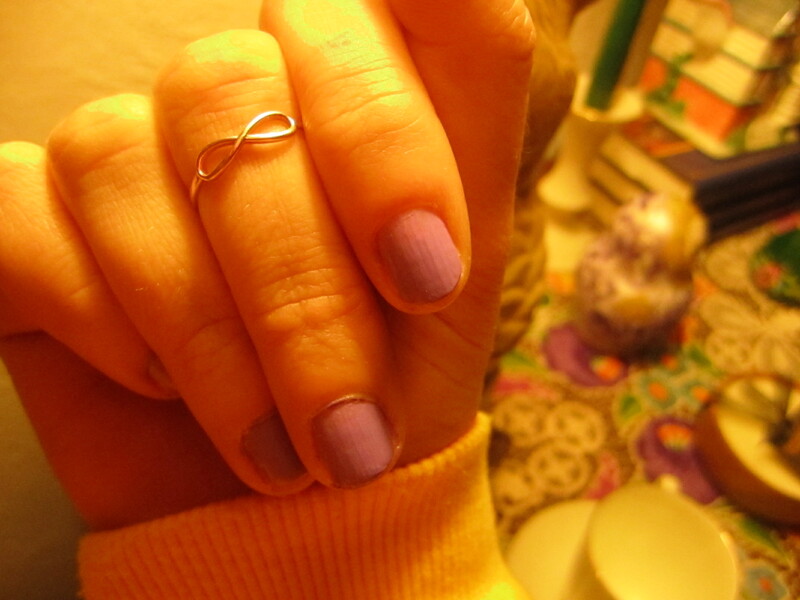 I saw thin, mid-finger infinity rings popping up on fashionistas’ accessories boards like crazy. But where do you actually buy them? I found my ring at 163, on sale for $15. They have versions with tiny hearts and stars as well, in white gold, yellow gold, and rose gold. Depending on which size you get, you can leave your ring on at mid-level, or put it on another finger like you do normally, in case the the trend gets old. The yellow gold chain is affixed to a thin gunmetal chain — a contrast I’ve never seen before. 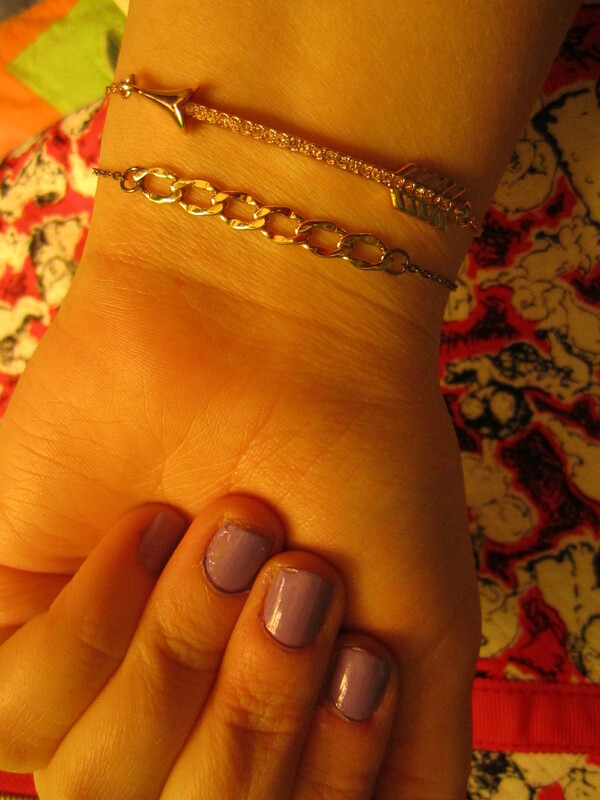 My rose gold arrow bracelet is actually by Juicy Couture, but I show it here because it works so well with the infinity ring. Talk about an arm party! 163 features jewelry done by local NYC artists, as well as awesome designs from around the world. Inventory is always being switched around, because many of the pieces are one-of-a-kind and completely trendy. The store itself encompasses two levels: the first floor is entirely filled with jewelry cases (swoon!) and the lower level is overflowing with hats, scarves, purses, and all kinds of other kitschy accessories. All of the items I scored at 163 become immediate conversation pieces among my friends and coworkers, and you can already probably see why! If you’re in the area, stop by — nobody will pressure you to buy, and you can easily spend the day browsing. But be warned! you will most likely be itching to return!